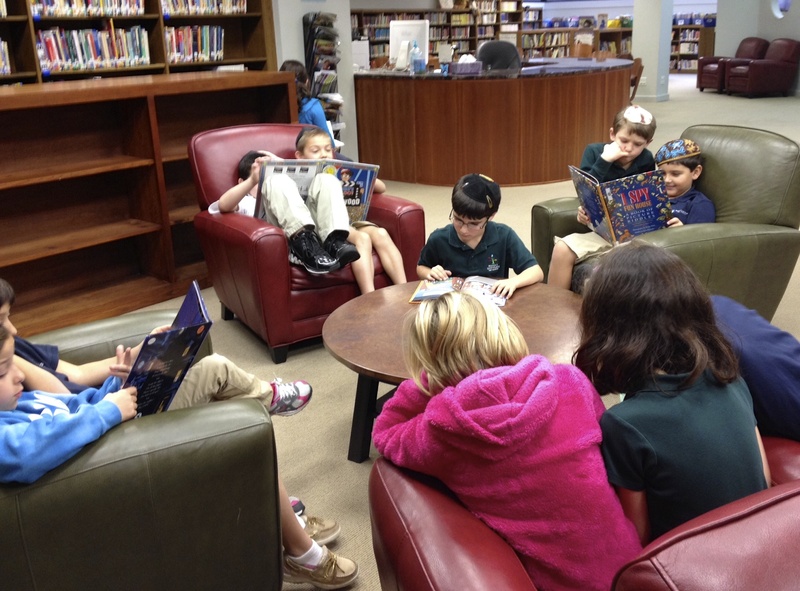 It all began one Friday morning when I found my 2nd grade students sitting comfortably together in the library looking at I SPY and Where’s Waldo books. I thought: I must do something with those kids and those books! Turns out that Jean Marzollo, author of the I SPY series has a fantastic website. 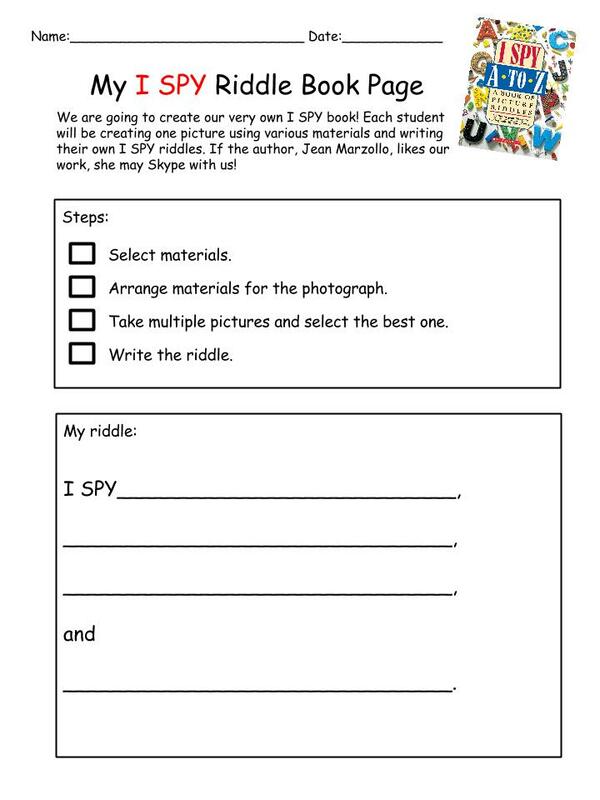 There she posted this challenge: A free 15- to 30-minute Skype visit with any class that creates “their own original beautiful I SPY pictures and write their own fantastic I SPY riddles.” I presented the idea to the kids and they were ready to take on this challenge! We spent our first lesson looking more closely at a number of different I SPY books, paying special attention to the image collages (choice of items displayed, arrangement of items, photographer perspective) and noting the beat and rhyme of the riddles. 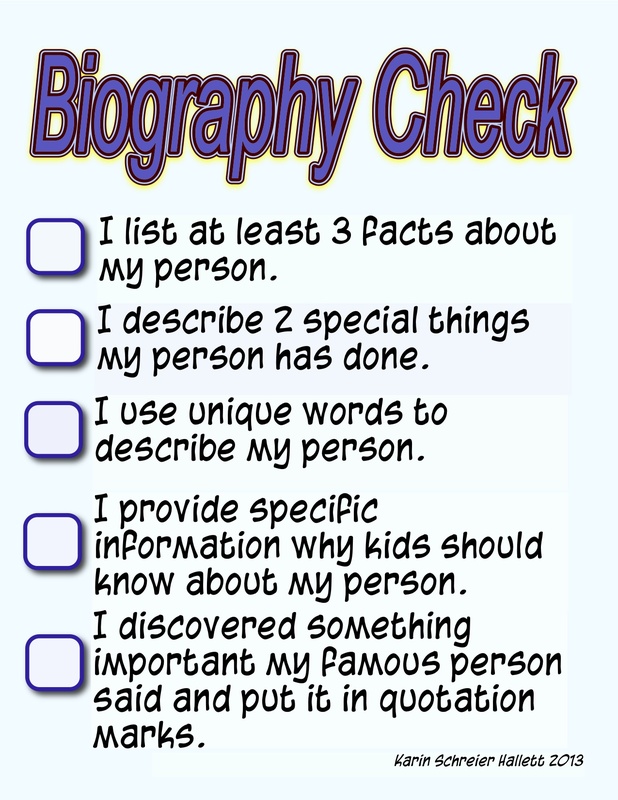 To help students begin thinking about their individual pages for our class I SPY book, I created an organizer. It outlines the steps to create a page in the book as well as provides a space for writing the riddle. I wanted them to just brainstorm some ideas. 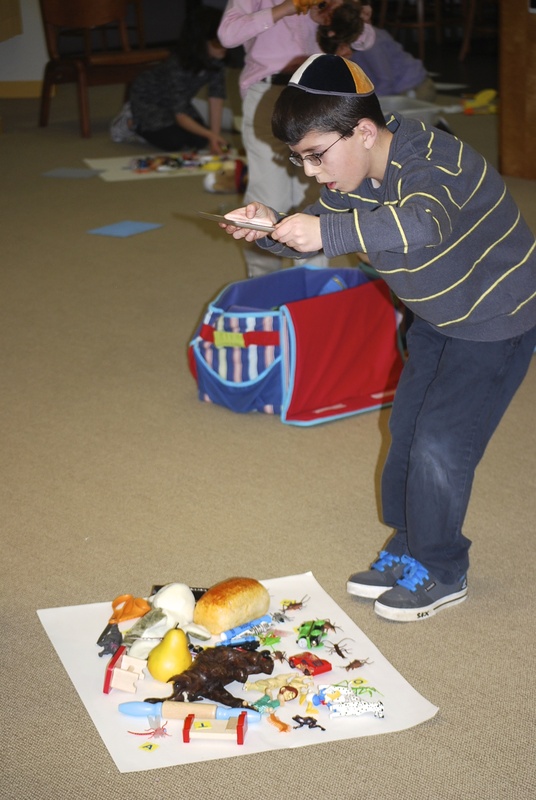 Several kids knew exactly what items they wanted in their collages and drafted their ideas on the back of the paper. Other kids already practiced writing riddles. Our next lessons were all about creating the image collages. We began by talking about what to look for when creating a collage using some examples I had prepared: not crowding the picture to make sure we can identify all items, taking the photo from a bird’s eye view, leaving a two-finger-spaces border, making sure to take a straight not crooked picture. Students used poster board as background. 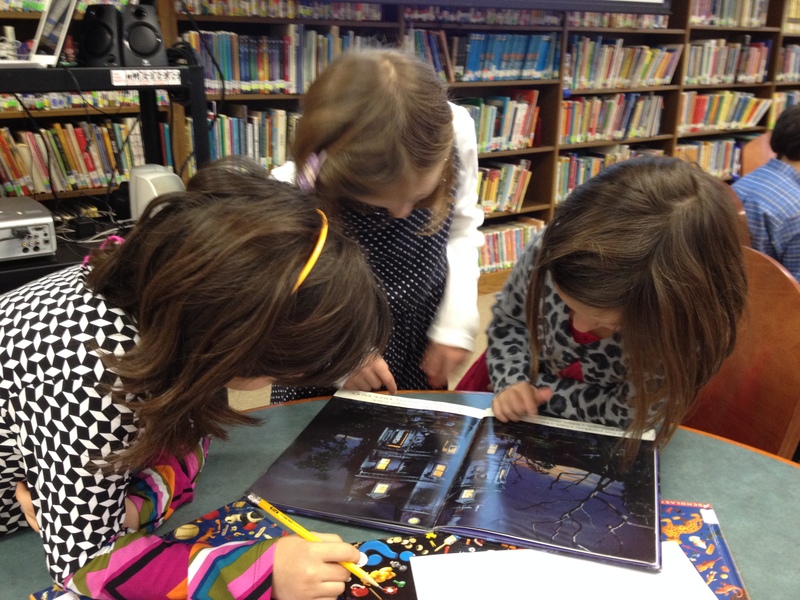 They were free to choose any items they found in the library for their collages. However, the big hit were the two bins of toys our 2nd grade teaching assistant, DeeAnn Wulbern, supplied on loan from her two sons. Some students worked in pairs, others preferred to create a collage on their own. We actually had two “gos” at this: our first attempt taught us that the white poster board worked better as background than any of the other colors. Also, its larger size provided more space for more creative creations. While I had mentioned to students that they should think of the riddles while creating their collages, none really did and were stuck when DeeAnn and I asked which items in their collages rhymed. Finally, when the students returned the following week, we emphasized that in each collage there needed to be at least two rhyming items. Several students quickly figured out how to best approach this issue by first finding the “just right” item and then searching for something else that rhymes with it. Only then do you look for other things to add to the collage. Watch our student Talia explain the process of creating an image collage. Once the collages were created, students took pictures using the iPad. It was not always easy holding the iPad perfectly straight and still, or even be up high enough to get the full bird’s eye view. Multiple pictures were taken and the best selected. Each student created an I SPY page using the BookCreator app for iPad. They imported their images into the app and then typed their riddles, choosing legible fonts and using the dictionaries to ensure correct grammar and spelling–because, remember, Jean Marzollo is looking for quality work! The students and their teachers LOVED this hands-on project. It highlights the four Cs of modern learning: critical thinking, communication, collaboration, and creation. But best of all, it is an extremely engaging project. Now we are ready to visit with Jean Marzollo via Skype for her feedback on our great product. Take a look! To celebrate Black History Month our 2nd grade teacher asked me to collaborate on a student research project. 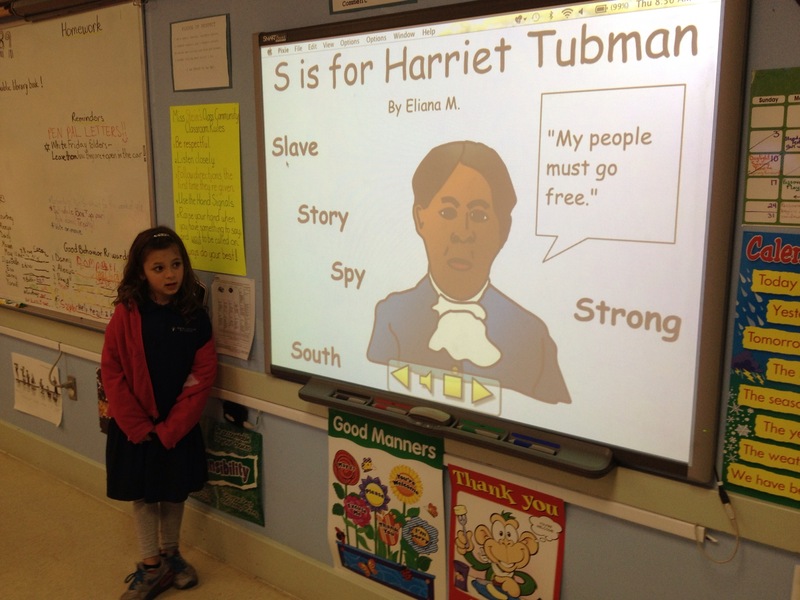 Her general goal was for students to each learn about one famous African American. For me, this was an opportunity to bolster students’ information literacy skills by engaging them in some heavy duty research. 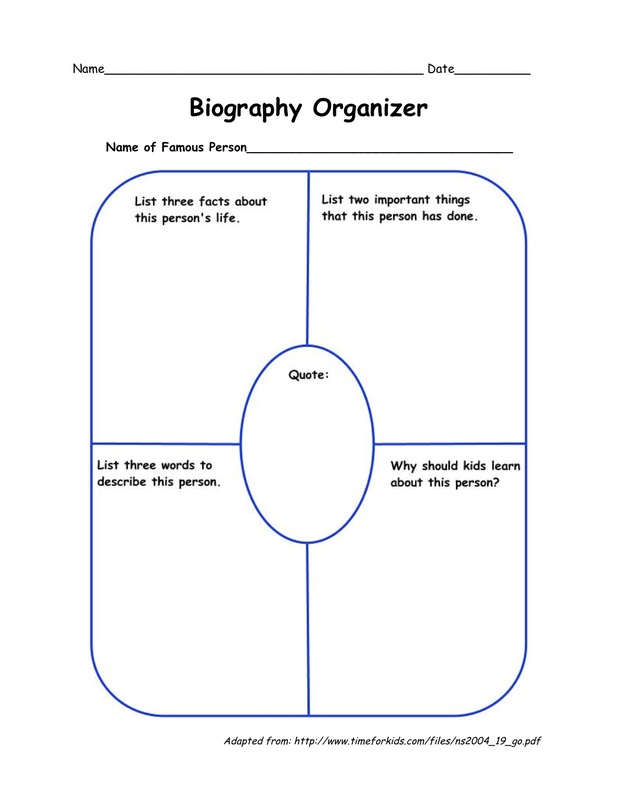 The first step was to assure students were able to define the biography genre. I asked them to explore a number of different biographies and then we collaboratively identified the information one can find in them. Next I introduced the students to our research tool, the Kids InfoBits (Gale) online database, which offers student-friendly articles on a variety of subjects. Inspired by a “scavenger hunt” created by librarians at Round Rock Independent School District, I created an adapted version for my students to let them explore Kids InfoBits. 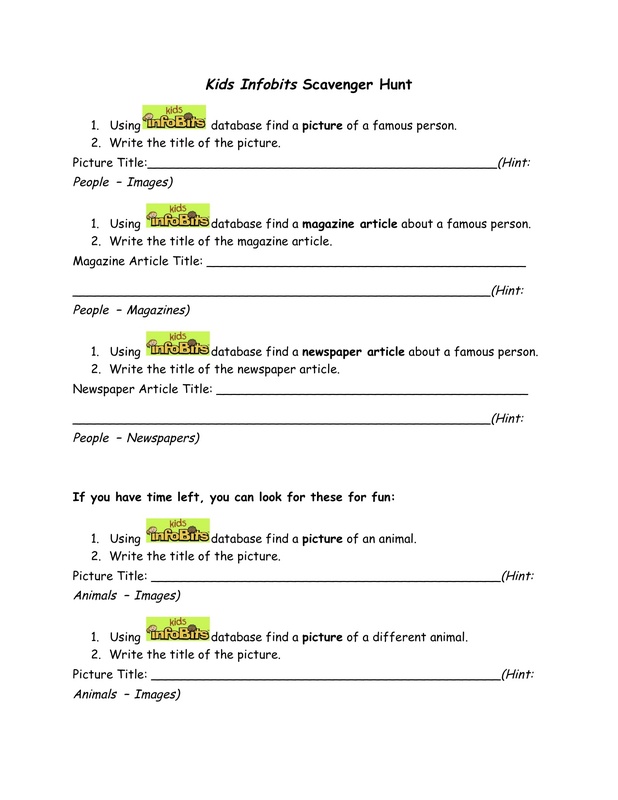 To guide their research, students used a simple graphic organizer (see timeforkids.com) requiring the completion of four major areas of information. Additionally, if students could find one, they were to add a quote by the famous person they were researching. It turned out that some students felt overwhelmed by the amount of information available through the database and/or found the online articles too difficult to comprehend. So the classroom teacher supplied lower reading level print biographies to those students. Since the print text also offered many pictures, students were able to extract information more easily. Finally, I always want my students to self-check their work before we move on to the next step. So once the research process was completed, students used a Biography Check form I created using the Comic Life app for iPad. My colleague and our school’s Director of Teaching & Learning, Andrea Hernandez, suggested students create an Associative Letter Report (see “Foundations for Independent Thinking: Look to Bloom and Marzano” by Liz Allen) as their cunulative project. 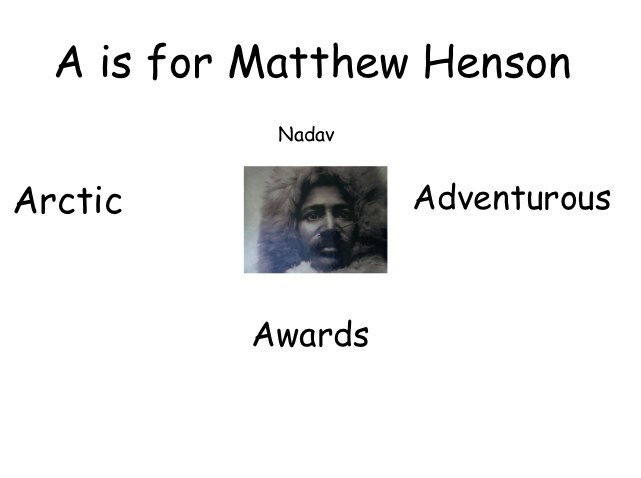 So before creating the reports, students had to think of nouns and adjectives to describe their person–and to ensure all those nouns and adjectives begin with the same letter. This was not an easy task and involved some problem solving and thinking outside the box. We did not require a minimum number of words, but left it up to each student’s ability. Some of them thought of six words, others just two. 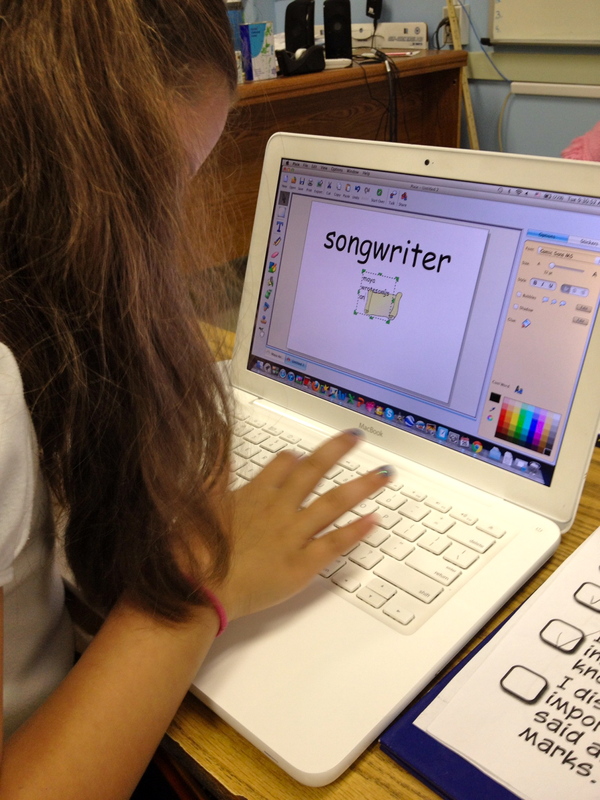 Students used the Pixie2 software (Tech4Learning) to produce their reports. We gave a few guidelines, including font must be black for readability, titles should be large enough to read, one image per page. 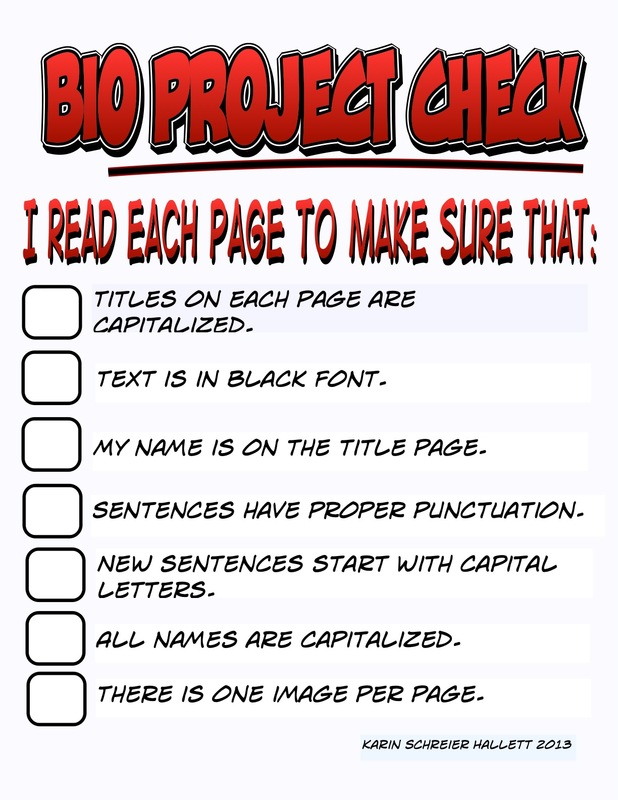 As before, once the reports were completed, I asked students to self-check their work by providing them with another checklist (also created with the Comic Life app for iPad). 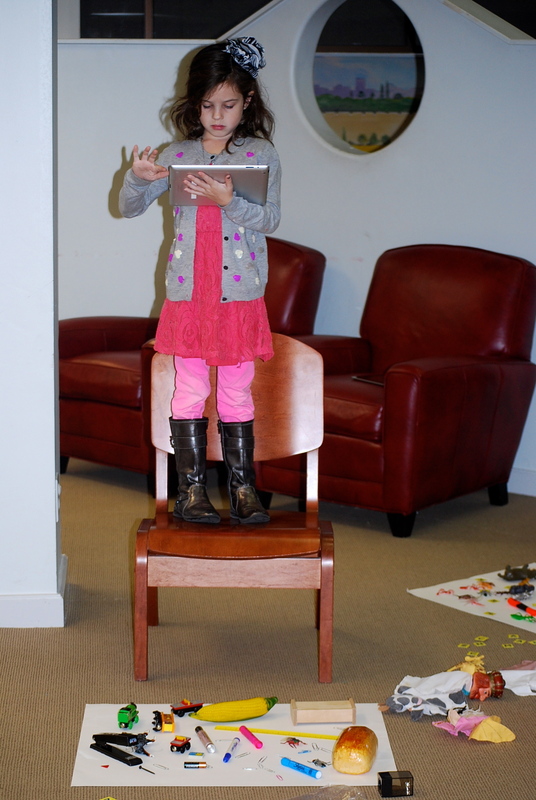 Students presented their projects to the class. We video recorded each presentation. As a next step, the classroom teacher will upload the report artifacts and recorded presentations to each student’s blogfolio. To conclude the project, students will reflect on their work and presentations. My goals for this project were for students to conduct research, read for information, apply critical thinking skills to organize the information found, and create a final product using the information. It was an ambitious project, especially since the students had no prior research experience. But the students learned by doing. And while the research process was at times frustrating for some, I think all students improved their stamina to stay actively engaged in more in-depth projects. The Pixie project was a great tool for differentiation. 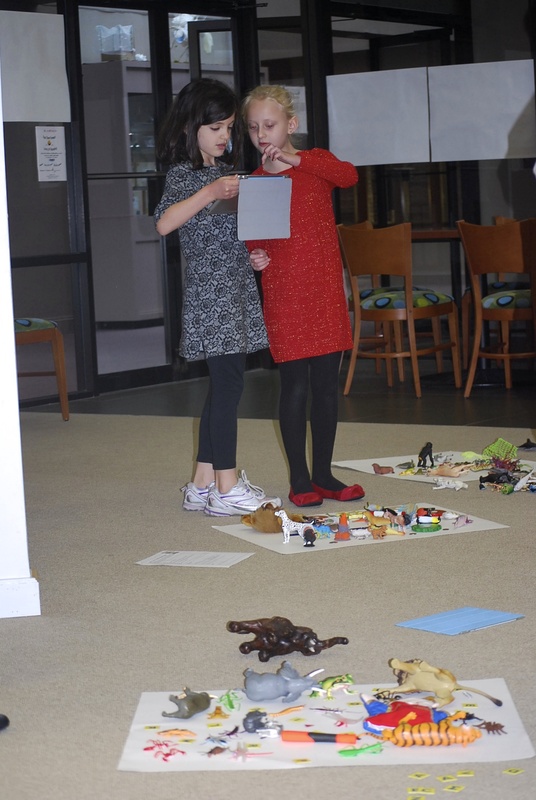 As their products show, some students created up to six separate slides with full paragraphs of text, while others created only one or two slides in the same amount of time with only a sentence or two. In this group of 19 students, there is clearly a range of developmental and academic ability represented and the project served this range well. It definitely helped that the classroom teacher agreed to add an additional hour per week to our schedule. Initially, we met only once weekly — not at all enough time to allow students to “connect” to the project. In the future, I would definitely work out a schedule with the classroom teacher that involves the children multiple times weekly. At times, a visitor to the classroom may have considered the lessons chaotic, but if he had listened closely, he would have heard students talk excitedly about “their famous person” to their desk neighbor, shared an image with another student, or helped a classmate in the use of Pixie. 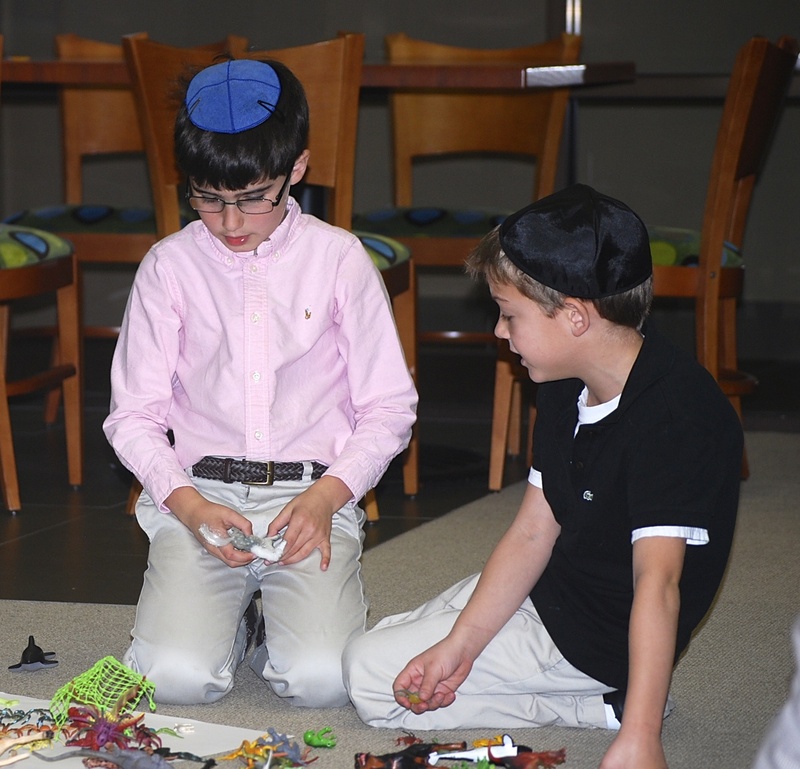 Students were focused on their work and engaged in learning throughout the project.